When two creative minds come together, it often unleashes phenomenal energies. 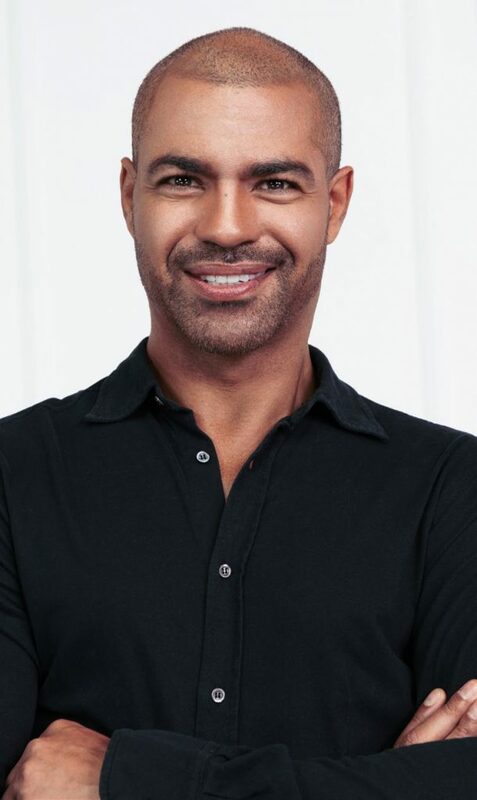 During the start of the hylodent brand, there was Prof. Marcel Wainwright’s research on biological dentistry and the issue of whether conventional dental care products need to be how they usually are. It contained too many substances of dubious benefit. Therefore, he thought about the following out loud: What can you omit, and what options do natural substances provide? 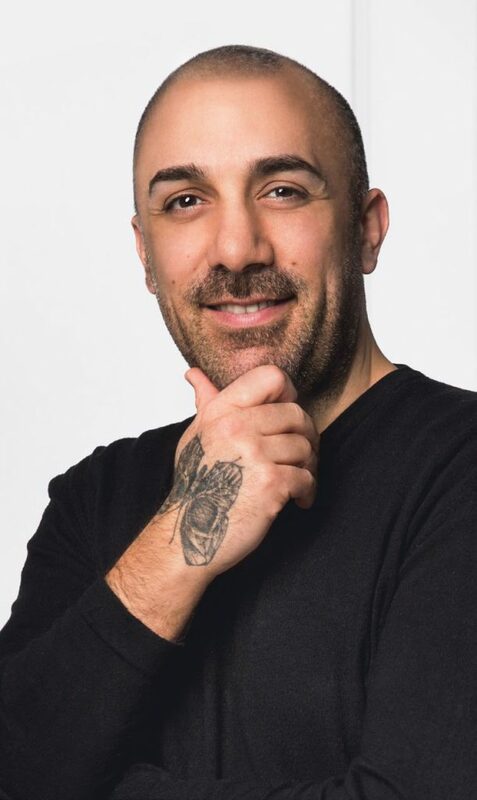 As internationally award-winning photographer, advertiser and beauty expert Claudio Di Lucia excitedly recognized, this is nothing less than a complete dental care revolution. He already saw the finished products before his mental eye – premium, white, and with a reduced design. Just like the contemplated products that forego synthetic, artificial solutions when nature can do the job better. An idea that was so good, it needed to be put into practice immediately. 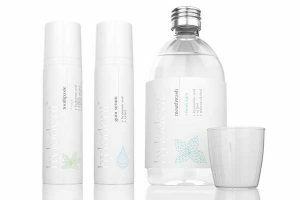 The result is an entire product series that offers intensive care for teeth and gums using innovative, natural ingredients such as hyaluronic acid, xylitol and the probiotic Lactobacillus reuteri. At the same time, the products always bear in mind a healthy oral flora, because the less harmful bacteria like Streptococcus mutans can propagate, the lower the risk of cavities and periodontal diseases. In this manner, hylodent can help the body protect itself without any tensides, titanium dioxide, alcohol, triclosan or animal ingredients. Sometimes, omitting the unnecessary is an art, and hylodent has taken the art of omitting to a whole new level. Effectiveness without the known active ingredients – how does that work? 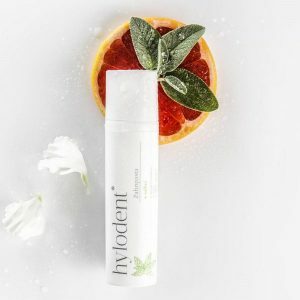 hylodent foregoes a lot of what is generally regarded as indispensable in dental care, because some ingredients have quite a dubious reputation. However, the legitimate question is the following: How does hylodent manage to produce effective products without these ingredients? The answer lies in the whole new natural proof-of-concept. Our declared goal is to control bacterial colonization in the oral cavity via innovative substances and to activate its own regenerative forces. The first pillar of this proof-of-concept is hyaluronic acid. hyaluronic acid is a naturally occurring substance in the body that is increasingly attracting attention as an adjuvant in dentistry. It can be found everywhere in the extracellular matrix and is part of many regenerative processes such as cell division and fibroblast proliferation. Furthermore, it has anti-bacterial and anti-inflammatory effects. 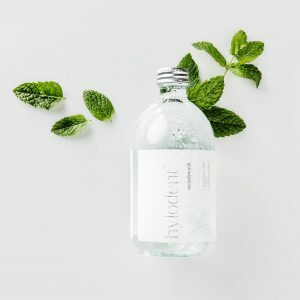 Using hyaluronic acid during and after operations demonstrated quicker healing, reduced inflammations, and a significantly lower level of harmful bacteria colonization in gingival pockets. Xylitol is the second pillar of the proof-of-concept. Since the sugar alcohol of bacteria belonging to the Streptococcus mutans species can be absorbed but not metabolized, oral cavity colonization levels decline for one of the most important carious bacteria. Teeth surfaces become smoother and bacteria can no longer adhere to it as well. Furthermore, saliva production is increased, thereby supporting teeth mineralization. The third pillar is Lactobacillus reuteri. This bacterium produces a type of natural antibiotic called Reuterin. Whereas the dosage is high enough for beneficial bacteria, it can kill Streptococcus mutans and other bacteria that cause cavities and gum inflammations. To that end, we have refocused on proven, traditional ingredients, such as sage, that have an amazing anti-bacterial effect. We have replaced synthetic sodium lauryl sulfate with natural, soothing cocamidopropyl betain, which is created from coconut oil. These ingredients complement and strengthen each other perfectly, therefore creating an entirely new dental care system that allows us to forego traditional, questionable ingredients. With consistent use, the hylodent system offers natural, effective care. Hyaluronic acid is an incredible substance. 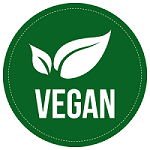 Because it is naturally found all over the human body, it is very easily tolerated. Hyaluronic acid is able to bind an extreme amount of water. It helps provide tissue with moisture. Hyaluronic acid has an antibacterial effect. The body takes advantage of this effect and increases the concentration at times of infection. 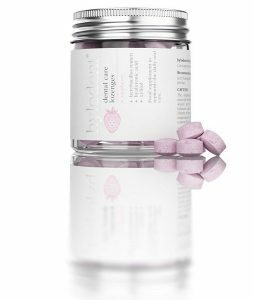 Hyaluronic acid stimulates wound healing. Hyaluronic acid stimulates cell regeneration. Xylitol is a sugar alcohol that is found in small amounts in some fruits and vegetables, such as cauliflowers, plums, raspberries and strawberries. Unlike normal sugar, xylitol cannot be metabolized by the cavity-causing bacteria Streptococcus mutans. This reverses bacterial colonization. Streptococcus mutans cannot settle on the teeth and cause plaque. Xylitol also contributes to the preservation of dental mineralization. Xylitol reduces the biofilm on the teeth. Many people already have Lactobacillus reuteri in their bodies. It is very important for human health, as it can prevent the growth of a range of harmful bacteria. Lactobacillus reuteri hinders the growth of the cavity-causing bacteria Streptococcus mutans and can therefore reduce plaque and cavities. Lactobacillus reuteri can improve the course of gum inflammation.